A Fun and Fast Game! 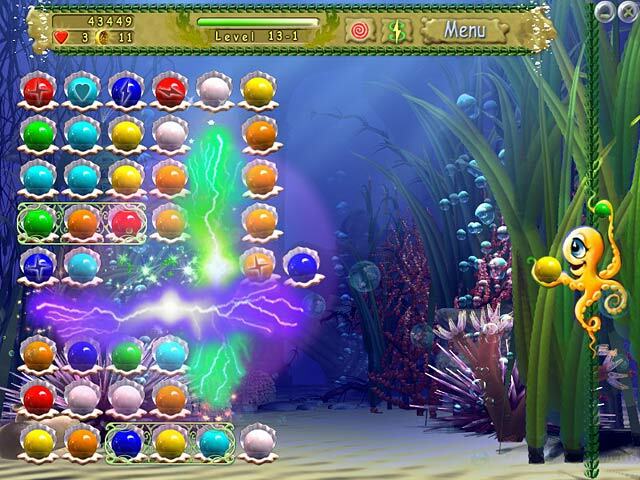 This match 3 is different from all others where your octopus is armed with a colored pearl and you determine where you want to place it to your best advantage. The octo also holds a reserve pearl, and if that color will work better for you, you right mouse to switch the pearls. 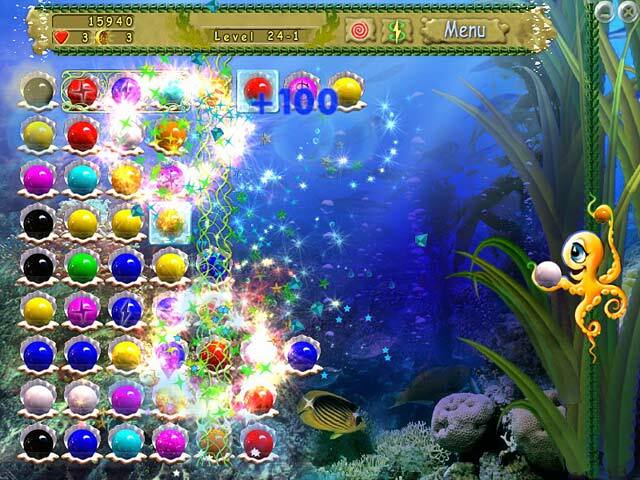 It gets harder and has more powered pearls as the game progresses. You're playing against the clock, but you also need to keep the rows short...pearls are added from the left, and if a row reaches your octo you'll lose a life! In between are games where you have to shoot pearls at the villainous sharks at high speed. The number of sharks and their approach speed increases in the higher levels. I really like this diversion! The game can be as fast or slow as you want to play it. While the icons look cartoonish that?s part of its charm it is great fun, and when played fast is great eye/brain exercise! Enjoy! This is a fun game, I just wish it was harder. For me it was not much of a challenge. Not my favourite genre, but bought this one after playing less than half the trial hour! You can either add a pearl to the end of a row or swap with any pearl in any row. Some strategy is needed ? it usually pays to think one or two moves ahead, though some levels have unpredictable (and explosive) chain reactions. 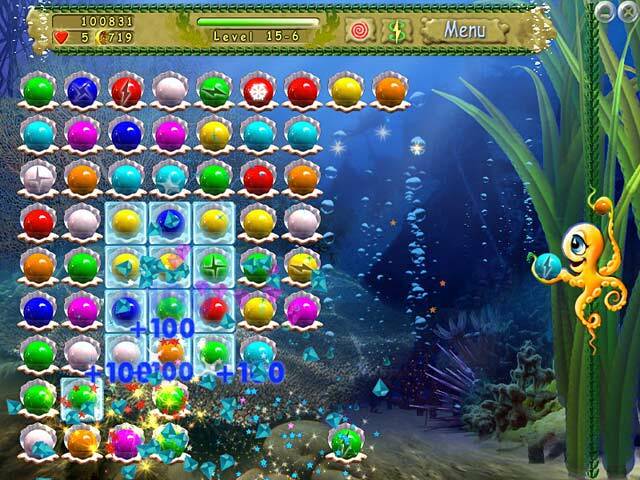 The levels vary, using different obstacles such as three in a box, frozen pearls, locked columns, rather than just getting steadily harder, so never gets boring. It would be nice to have the option to skip the shark-shooting bonus levels. Difficulty was just right for me - didn't get frustrated but needed all the power ups I could buy to get through level the last level (30).